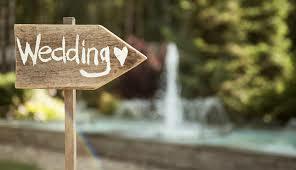 As soon as you have secured a wedding planner and booked your band, start looking at wedding and reception venues. Why wait? So you know how much room they need. Ten to twelve months before your ceremony date is best. Booking a band can be nerve wracking, especially if you wait too long and all of the good bands have already been snapped up by other couples or events. Book your wedding band at least eleven months in advance of wedding day. Some websites will tell you that book six or even just three months in advance is fine, but in reality, the earlier your book your band, the better—the only road block being whether or not your party band takes reservations that far in advance. 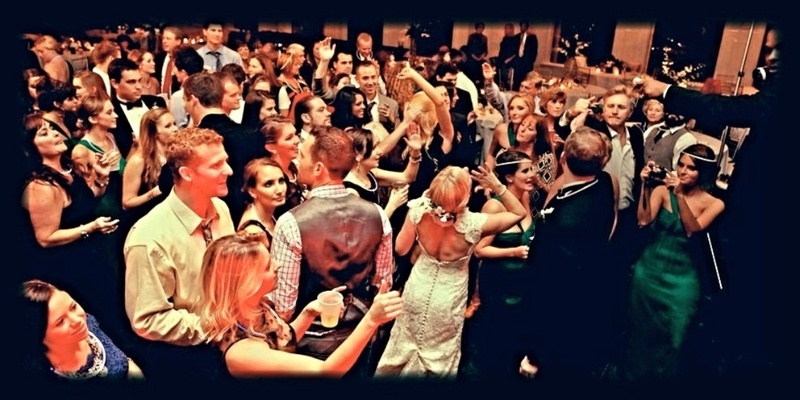 Not only does this give them ample time to learn any songs you want them to play that might not currently be in their repertoire, it ensures you get the band you want at your wedding. Your wedding planner should be the very first person you hire, especially if your engagement is on the shorter side, as they will have the connections that you need to pull some favors if you’re planning a wedding that is less than six months out. For a standard engagement, you should hire your wedding planner more than twelve months in advance of your wedding date. After you get engaged, you might want to take a few weeks to start gathering information about the kind of ceremony you want to have, what style you want to achieve, etc., and then book your wedding planner. As soon as you have your reception site picked out and the deposit placed, it’s time to pick your caterer. While you can start meeting with caterers before you’ve chosen your reception site, having the reception venue already picked allows your caterer to tell you what they can do in the space provided. This should be, again, in between ten and twelve months before the ceremony. A photographer or videographer is an integral part of your wedding day, and all of the good ones are going to be booked well in advance. In order to beat out the other events and weddings taking place on your big day, start talking to photographers and videographers in between ten and eleven months before your ceremony. Unless your wedding venues comes with an officiant (for example, you are getting married in your church, by your priest, and therefore you schedule both the church and the priest’s time when you pick out your venue), you will need to contact and schedule an officiant for your ceremony about nine months before the actual date. If you’re not sure what kind of officiant you need, don’t be afraid to ask your wedding planner. She can help you find the right person based on the type of ceremony you are going to have. There are a few varieties of vendors that can handle more than one wedding in day, which makes finding one early less imperative. You will want to book your florist more than six months in advance, even if she can handle multiple weddings in the same week, just to make sure you get the florist you want. Holding off on hiring a cake baker is usually fine, as most bakeries can handle producing more than one wedding cake on a given day. That said, if you have your heart set on a specific bakery and a specific flavor and cake design, don’t be afraid to book them as far in advance as they’ll allow. Six to nine months is fairly standard for bakeries. When it comes to booking vendors for your wedding, never wait until the last minute. Booking vendors less than 2 months prior to your wedding, may leave you with a service of lower quality. Our recommendation is that you should book as far in advance as possible, to ensure the highest quality of service and your top choice vendor!